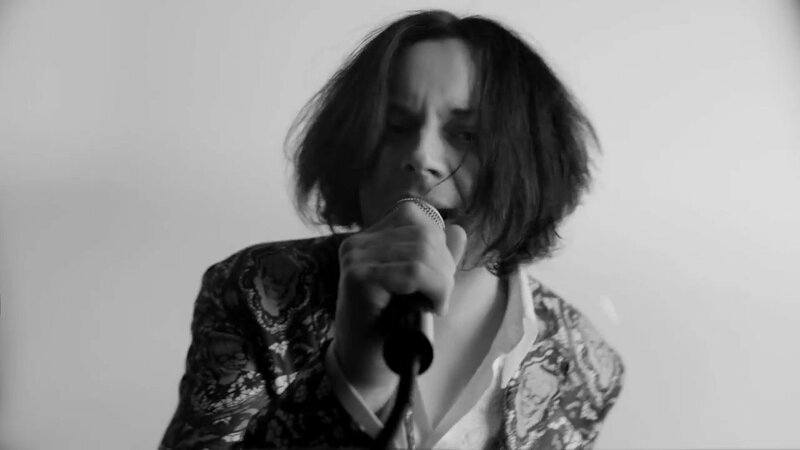 Jack White has released the official music video for the song "Lazaretto" and the word badass seems to describe it well. Watch above, via YouTube. 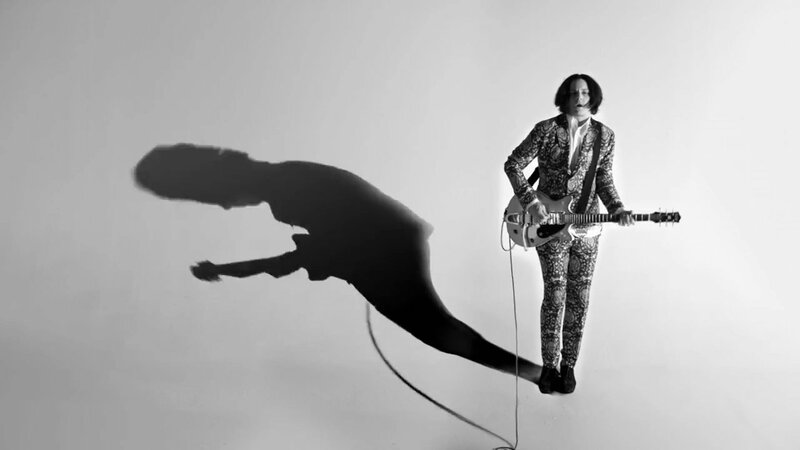 These days, Jack White is a company man. Third Man Records is plugged all over the black-and-white Jonas & Francois directed video, and things come in threes. There's a guitar pick with three lines, an old style TV with three lines, three guitar amps, three crow bars, and a sports car with the number 3. There's also floating shattered glass all over the place, and some cool shots of music performance, a snake, a bull, a smashed disco ball... there's a lot of stuff going on. After the 2 minute mark, the song breaks down and Jack White spits into the camera. The tune is dripping with attitude and an angry aggression, but stylistically this isn't an in-your-face straight ahead rocker like The White Stripes' "Black Math" (or most other hard rock songs White has done in the past). The drums are in a funky break-beat style, locked in with the keyboard and bass. Toward the end, there's a dueling violin section, a nod to the country tradition. The sound brings to mind the better rap-rock groups of the '90s like Rage Against The Machine and The Beastie Boys. The Lazaretto album is currently streaming on iTunes Radio ahead of its scheduled official June 10 release. You can order the record at Third Man Records, iTunes, and Amazon .